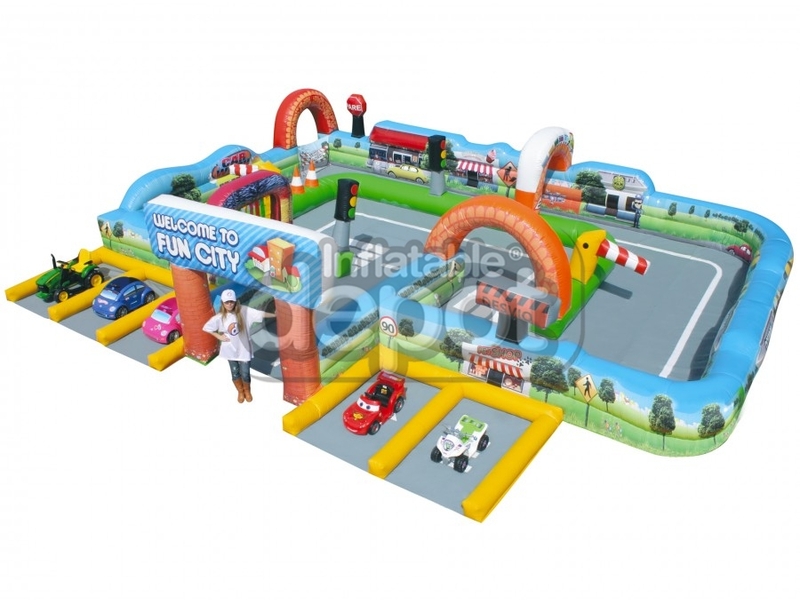 Provide a small suggestion and you entice the imagination to experience and develop fun and enjoyment. 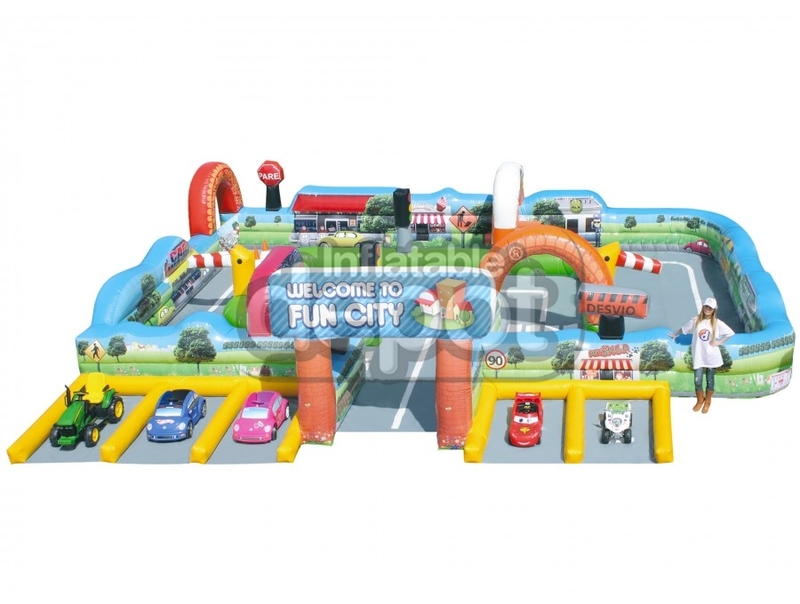 With the Circuit City Cars, we present a simple idea of traveling and movement through the environment of city streets. 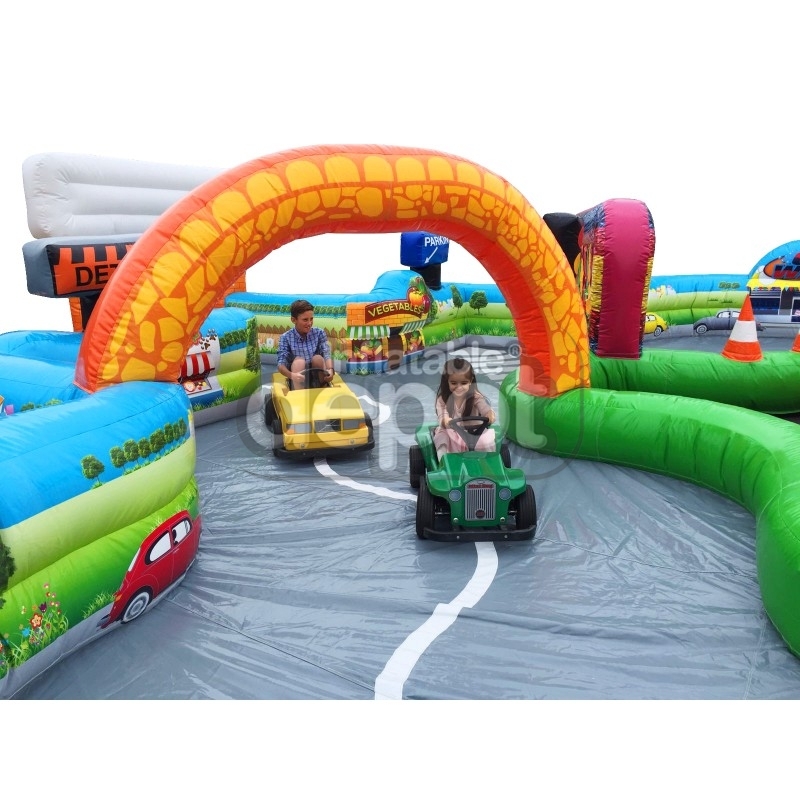 Fun by itself children can traverse, travel on their own, and have a grand old time; add a car*, trike*, or some other mode of transportation* and the fun expands tremendously. 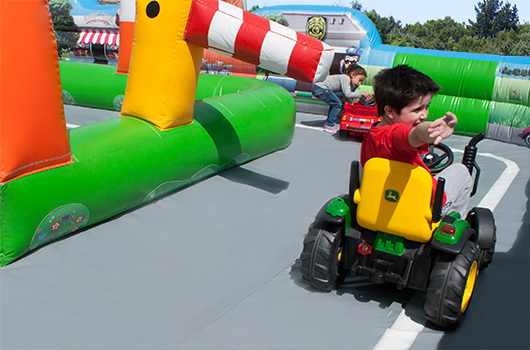 Need an experience for the physical challenged? 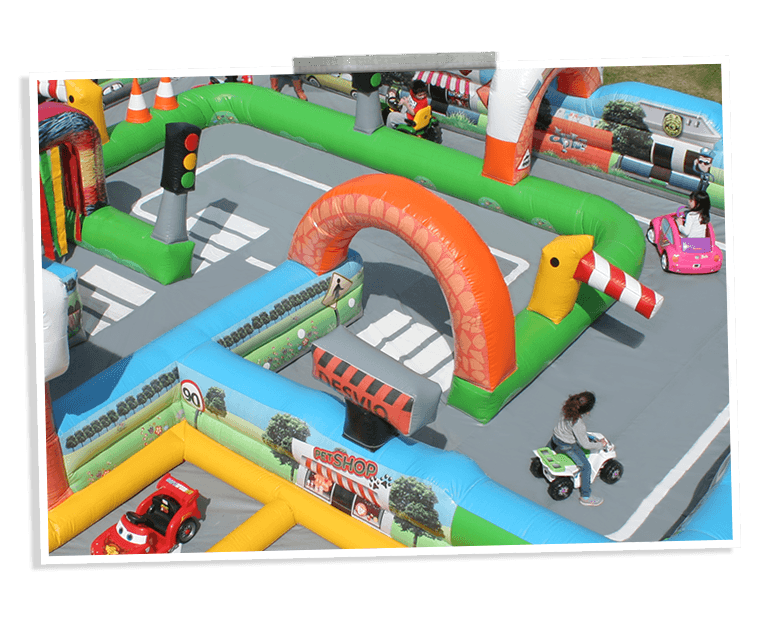 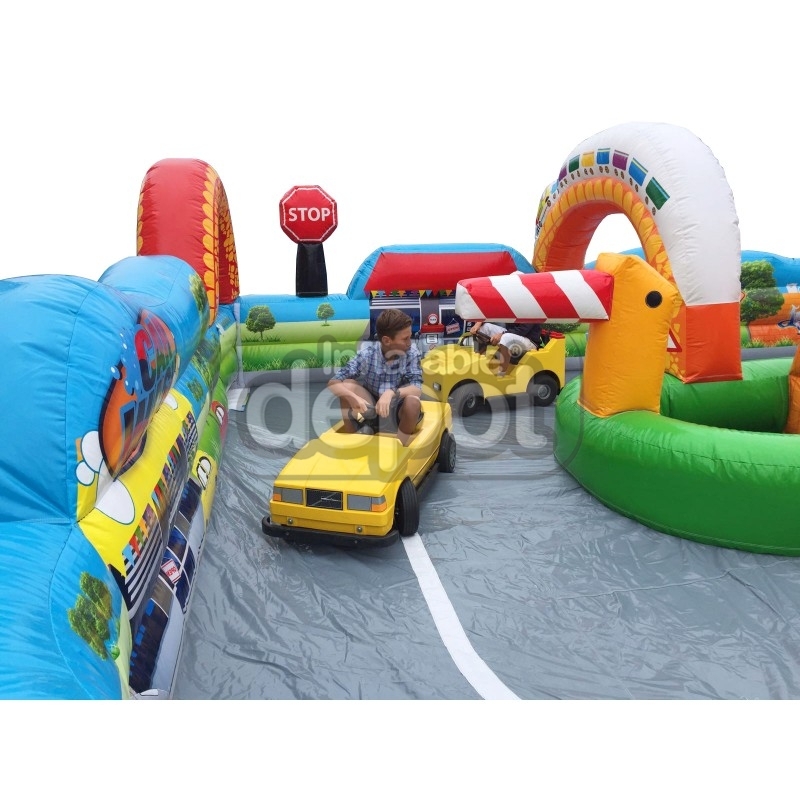 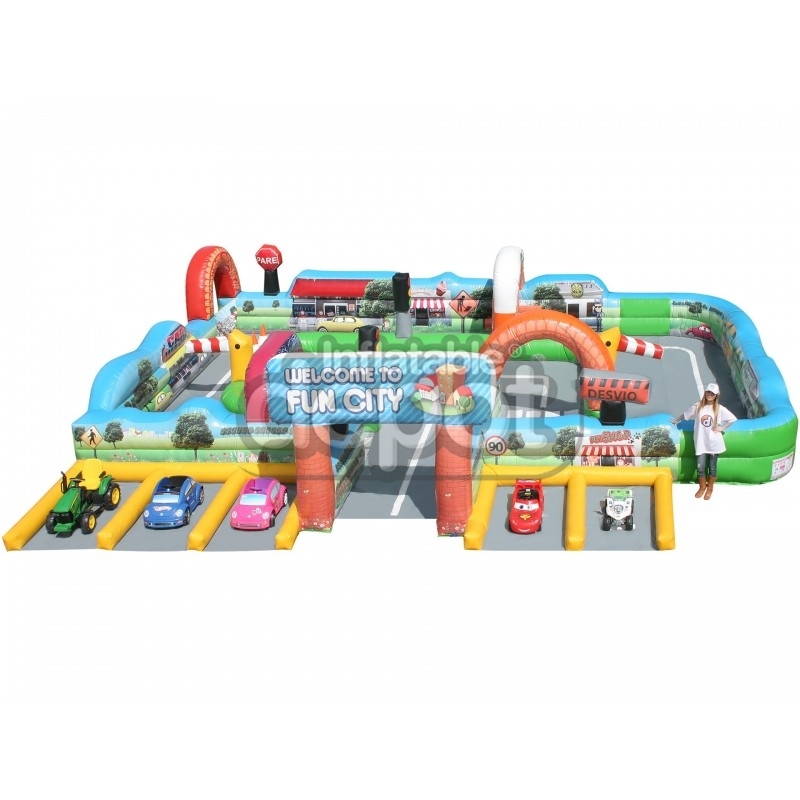 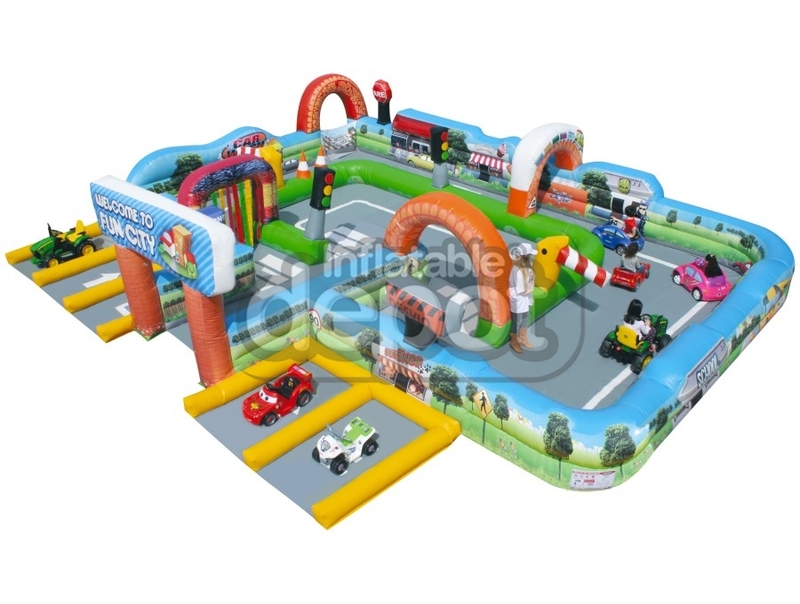 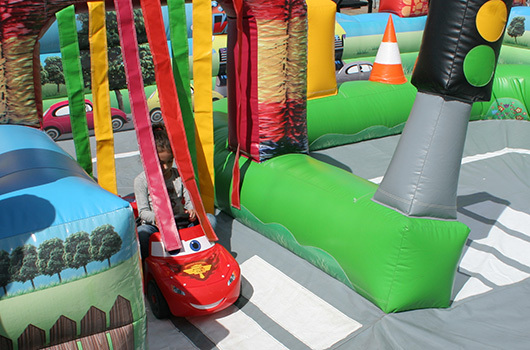 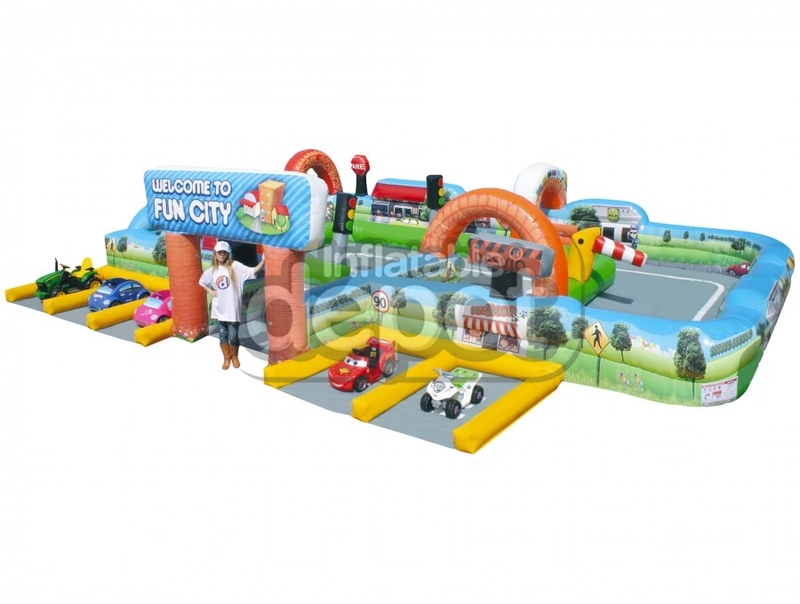 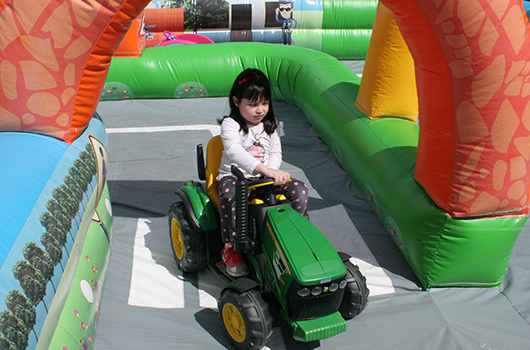 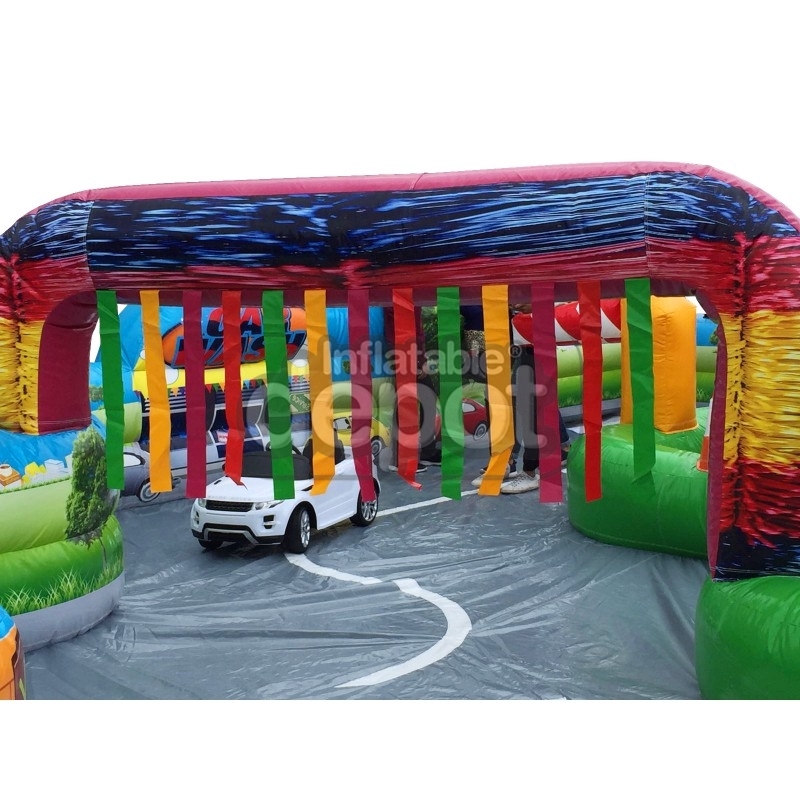 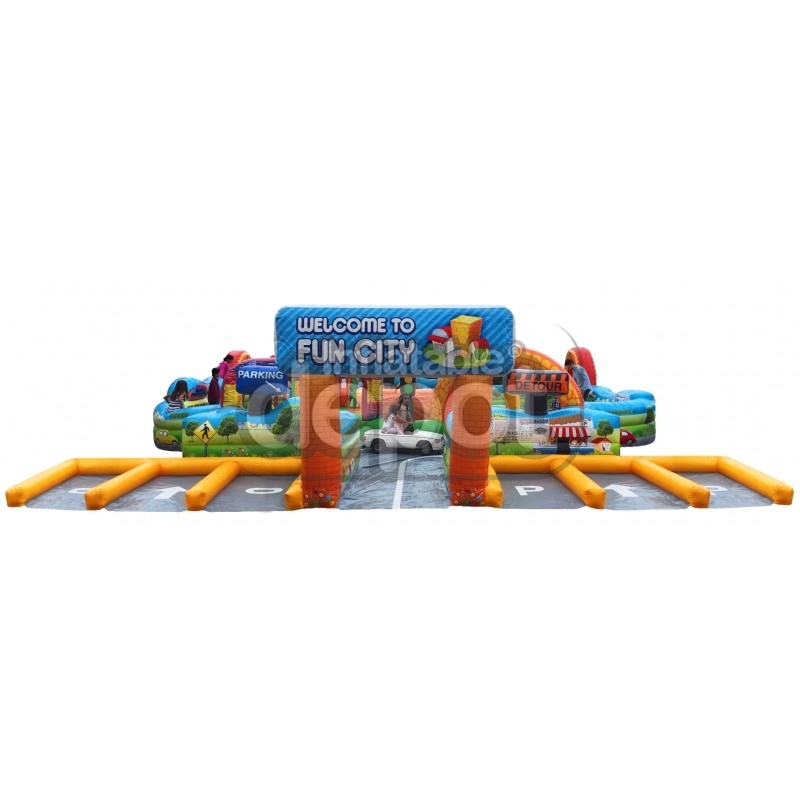 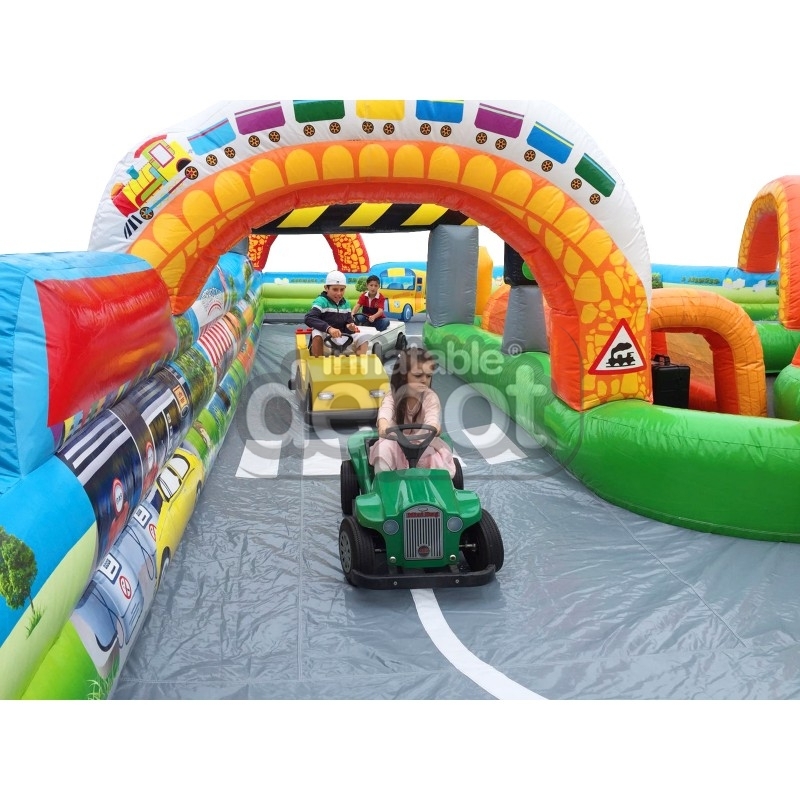 The Circuit City Cars presents an environment that allows those normally left out of Inflatable Fun an opportunity to join the excitement!